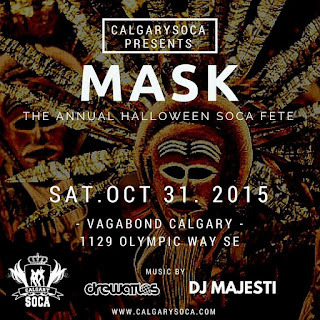 Calgary's annual Halloween Soca fete, MASK returned Sat. October 31st 2015 to Vagabond. Huge thanks to everyone that got dressed up as your favourite ghoul, Carnival character, or sported your best mask as we partied the night away again. Tag yourself in our pics, and we'll see you at the next fete!